Yesterday was Piano Day – a day recently christened by composer/pianist Nils Frahm in order to celebrate that ubiquitous keyboard instrument. (It’s held on the eighty-eighth day of the year.) There are concerts, marathons, project, releases – and unlike Record Store Day, this event won’t clog the ability to produce piano music. With that day as inspiration, I thought it was a good moment to look at some of the technology of and around the piano, to understand what has made this instrument special. That includes both strictly acoustic innovations as well as design features and breakthroughs that either inspired the electronic world, or helped bridge acoustic and digital. The piano (and its organ counterparts) has had a tremendous impact on how we model musical information. The pianoforte, clavichord, and organ all helped produce a conceptual model where pitch could be abstracted from expression, and that’s been influential in digital and analog synthesis from the start. One of the oldest remaining instruments by the pianoforte's presumed inventor, Cristofori. Visit it in NYC – it’s at the Met (accession # 89.4.1219). Hammers. What makes a piano a piano is really the hammer mechanism. “Piano” is of course short for “pianoforte”; it means the name of the instrument itself advertises its big selling point, the ability to play loud and soft. The reason that’s a thing is that chamber keyboard instruments at the turn of the 18th century, when the piano first emerged, weren’t able to pull off much in the way of dynamic range. Harpsichords are loud enough, but their plucking mechanism is more or less binary – either you plucked, or you didn’t. Clavichords have levers that strike the strings with small pieces of metal, which allows some dynamic range, but they’re very soft. There’s a reason you see these in paintings in small home chambers. Bartolomeo Cristofori is credited with solving the problem on his pianoforte by first devising a hammer. The challenge: hit the string then, get out of the way again (so you don’t damp the sound – you can try this with your finger on a piano), and then get ready to do it all over again. That’s easy to do if you’re using a lever as on a clavichord, but much harder with a hammer. Cristofori got it right around the beginning of the 18th Century, and then others who researched his technique spread the concept. The 19th century then brought the invention of what’s called a double escapement action, which lets you hit multiple notes quickly by adding an additional lever. (You can see that working if you peer inside a piano and hit a note repeatedly.) 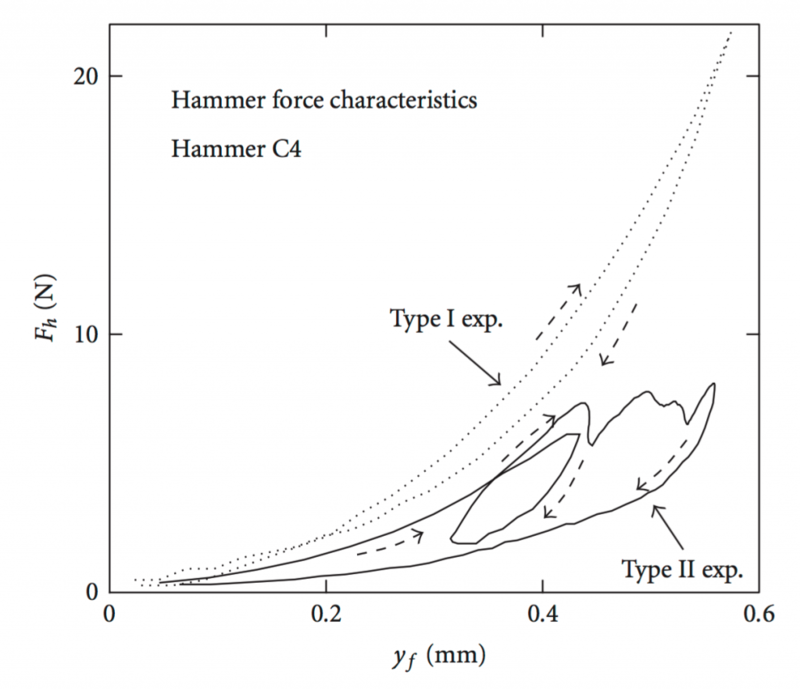 The materials used on the hammer have been refined, too. But on a fundamental level, every piano has the basic mechanism that the Cristofori instruments did, making this a revolution in instrument building. 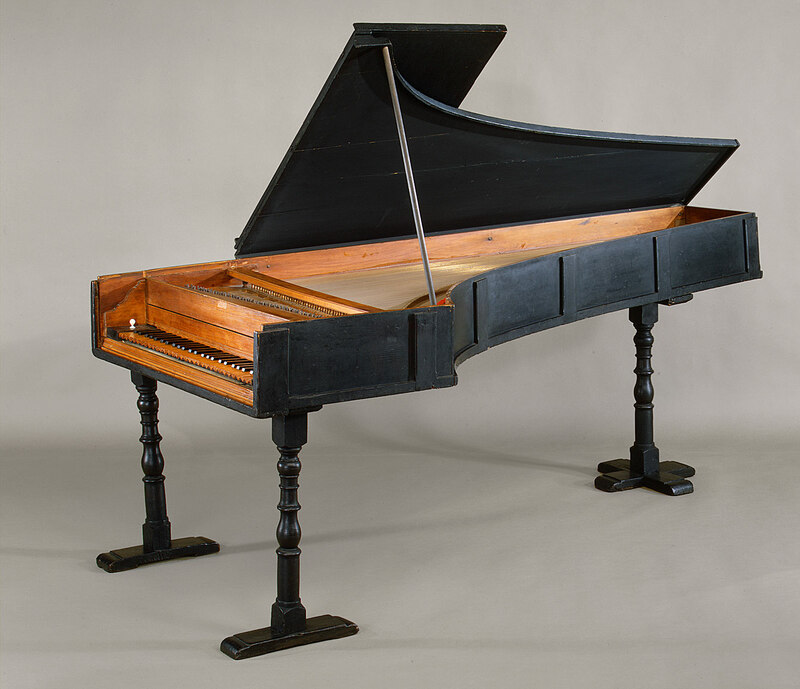 Wendy Powers has written a lovely overview of the Cristofori pianos for The Metropolitan Museum of Art in New York, which is also one of the best places to see his invention in person. Pedals: this changes everything. Photo by Michael Pardo. Pedals. 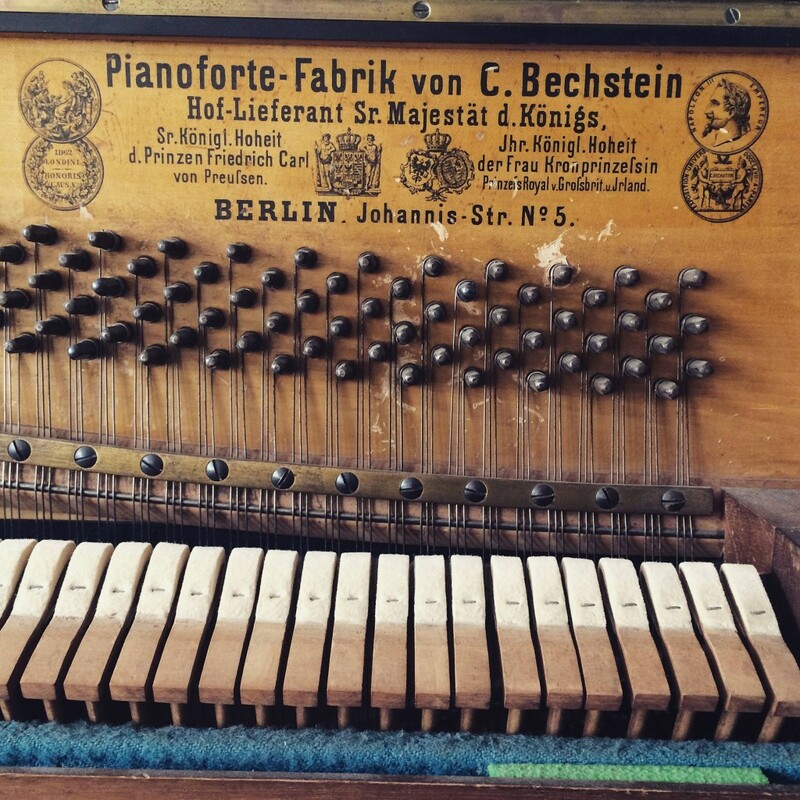 The piano might have been a forgotten invention had it not been for a German organ builder named Gottfried Silbermann. Just as today, music tech ideas in the 18th Century spread through a combination of research, writing, and building, transmitted to others (and ideally translated to their native language). Silbermann applied his experience in building other instruments to producing variations on Cristofori’s fortepiano. And he added one essential addition: the sustain pedal. That has utterly changed the piano’s playing technique and tone. The hammer makes the piano possible; the pedal makes it more desirable. We take it for granted to such an extent that almost any electronic keyboard instrument you find of any size will have a sustain pedal jack on the back. Leave it to an organ builder to figure out that you can add more to a keyboard instrument by having the musician use his or her feet. Wire and iron. If the Enlightenment gave us the idea of the piano, the Industrial Revolution in the 19th Century gave us the raucous, loud instrument we know best today. From a mechanical engineering perspective, the 19th Century piano is not completely unrelated to the Brooklyn Bridge. A cast iron frame supports wire strings under tremendous tension. Attach a tree (okay, something like a spruce soundboard), and you get an instrument like the enormous, very much not-portable Steinway D.
The Steinway frame can support up to 23 tons. And yes, if not cared for, those strings do sometimes break. The instrument quietly sitting in a living room is actually full of unseen forces. Steinway Model D. Photo courtesy Steinway & Sons. Stringing. All the above give you the basics, but to me it’s the much subtler questions of stringing and the soundboard that actually make you fall in love with the piano. 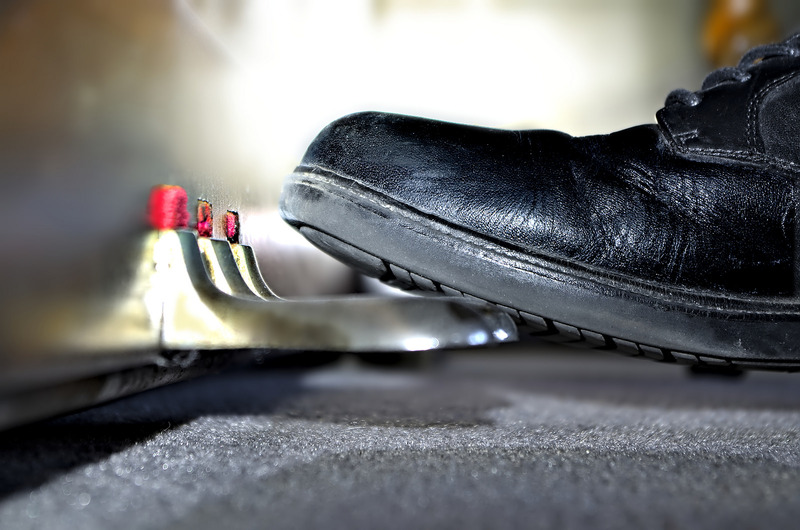 The use of strings that resonate when you play notes (another reason to use that sustain pedal) mean that each note contains not just the sound of a single string vibrating, but a rich resonant timbre around it. Even if you know nothing about piano construction, you’ve probably admired the interlaced rows of strings inside the piano – and maybe even wondered why the pattern changes across registers. Cross-stringing (overlapping the strings) and the construction and disposition of the soundboard help define that unique character. 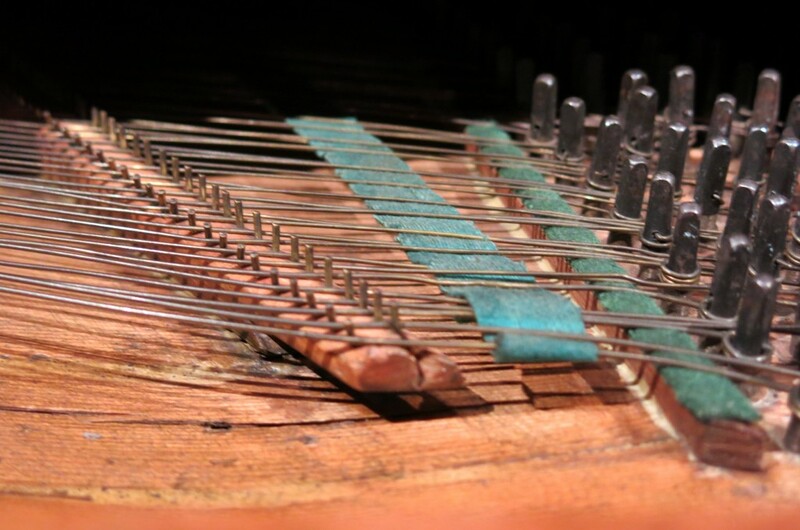 By the end of the 19th Century, piano builders were perfecting techniques of Aliquot stringing, originated by Julius Blüthner in 1873. These particular patterns are a bit part of what gives particular makes of piano their character. I don’t want to advertise Steinway & Sons specifically here. But, for example, when Steinway players speak lovingly of the “Steinway sustain,” part of what they’re talking about is the result of the tunable aliquots Theodore Steinway added to his instrument. Those strings produce a characteristic set of resonances in the higher octaves. Player piano with roll. Photo (CC-BY) Les Chatfield. Player piano. Before the recording industry involved records, the piano was the original music industry. This was the technology that introduced the idea that you could recreate someone else’s performance in your own home. Barrel pianos, favored by street musicians, preceded the technology. But the player piano as we know it made its public debut at the 1876 Centennial International Exposition in Philadelphia. That was a heck of an expo, featuring the first monorail, and Alexander Graham Bell exhibiting his first telephone, opposite Thomas Edison showing off the telegram. And you could try Heinz ketchup for the first time. The player piano as product arrives at the beginning of the 20th Century. Hilariously, early adopters got stuck with rolls that became instantly obsolete when later models upgraded to 88 keys. 1. Reproducible performance. Alongside recordings, the player piano is the breakthrough technology that helps people to imagine they don’t need a human around to appreciate a performance. And it in turn helps popularize the idea of robotic musical performance many artists today are exploring. 2. Copyright law. Believe it or not, it’s actually the pianola and not the phonograph that established one of the most important battles around copyright law that’s still relevant today – even when we’re talking SoundCloud and Spotify. You’ll hear copyright lawyers today talk about “mechanical” royalties, and wonder why the heck they’d use that term. Well, the pianola is why. The US copyright law that ruled most of the 20th Century overturned an associated Supreme Court decision. At hand, the question was whether a piano roll (as a mechanical object) qualified as a “copy” (in the way that sheet music would). The Supreme Court said Congress’ definition was too narrow and would have denied composers royalties. Congress rewrote the law in 1909, and the compulsory mechanical royalty was born. 3. Visualization of music. 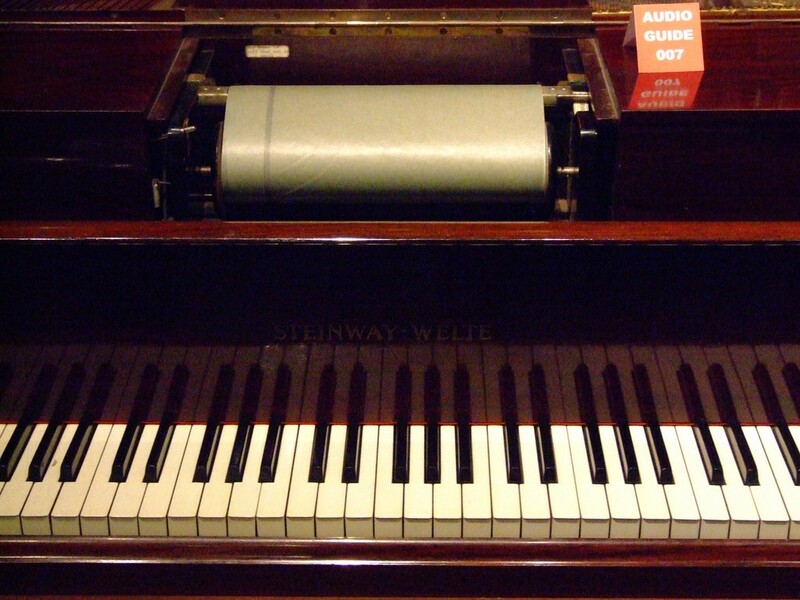 The “piano roll” (still frustratingly called by that name) is by far the dominant visual model for representing music on computer devices. And it’s not a bad choice. The mechanical logic employed by the piano roll makes for an intuitive spatial, visual picture of what’s happening in the music. Furthermore, because the piano roll is aligned to the piano keyboard, and many musicians learn pitch from playing the piano keyboard, the image corresponds to muscle and visual memory. The original Yamaha player piano – with actual discs. Photo courtesy Yamaha Corporation. Digital piano interface. The piano and pianola were conceptual predecessors to everything that would happen in digital music. The instruments themselves, though, were a bit late to the party: the mechanical-acoustical world of the piano didn’t immediately interface with the analog or digital control schemes of the synthesizer. 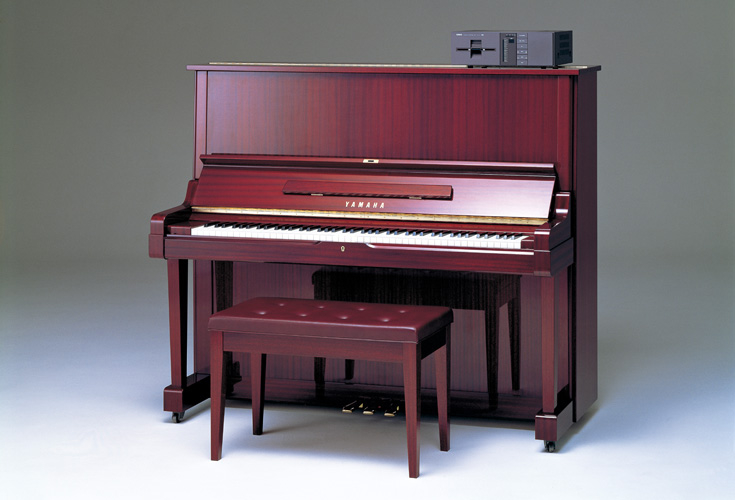 That changed in 1982 when Yamaha released their first Player Piano (now called Disklavier. (That’s in reference to floppy discs; it was the 80s.) The instrument interfaces both input and output with the keys. For input, it uses electronic sensors, opening up the ability to record performances or transmit them to another instrument. For output, it uses electromechanical solenoids to move the keys, hammers, and pedals in place of your fingers. Also worth mentioning is the Bob Moog Piano Bar. Whereas Yamaha’s solution required you buy an entirely new piano (good for Yamaha, possibly less ideal for you), the Piano Bar was non-invasive. Add the titular bar atop the keys, and sensors register as your fingers play. Moog joined in a historic collaboration with fellow synth pioneer Don Buchla to create the instrument. The product itself wasn’t a huge hit – better electronic pianos trumped heavier, pricier acoustic instruments in the market. But while an oddity, the Piano Bar deserves a place in music history for bringing together these minds. Let’s science the s*** out of this, then. From a 2003 paper by Giordano/Jiang. Physical modeling is a gift of the piano to the electronic world, because once you approximate the physics of an acoustic piano, you can then warp those rules to produce pianos that could never exist (or exist practically) in the real world. The multi-touch keyboard. If you want a modern counterpart to the Cristofori fortepiano, I believe the Eaton-Moog Multi-Touch Sensitive Keyboard is a similarly important breakthrough. Now, technically, it’s not a piano – it’s an electronic keyboard controller. But just as Cristofori (and the clavichord) introduced the notion of velocity control, Bob Moog and John Eaton helped pioneer the idea of an electronic keyboard that would use an additional axis for more expression. This idea didn’t come out of the blue – the Martenot, for instance, layers expression atop a keyboard, as does an organ. But what makes the Moog-Eaton project special at this moment is that the idea seems destined to go mainstream. With instruments like the Haken Continuum and ROLI Seaboard taking up the mantle, and an effort to rewrite the MIDI specification to make it easier for hardware and software to communicate in this way, we seem destined to finally see this sort of expression reach a prime time audience. Nils with Una Corda piano. Photo: Claudia Goedke. And more innovation to come. You may have noticed that acoustic piano innovations reach a crescendo at the end of the 19th century, and then – they stop. 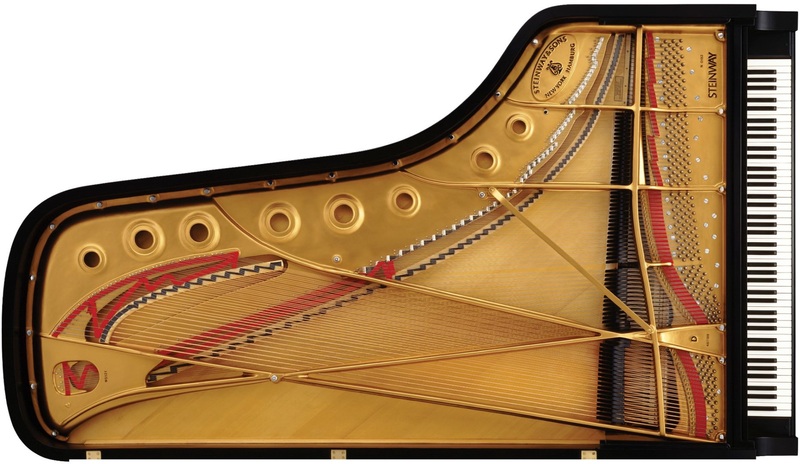 The Steinway Model D, the one you’re likely to hear in a concert hall and one that has served as a template for most other brands, dates to 1884. The Bösendorfer Imperial, a “radical” outlier with 97 keys, is the young upstart — from 1900. That’s why someone like David Klavins is interesting. 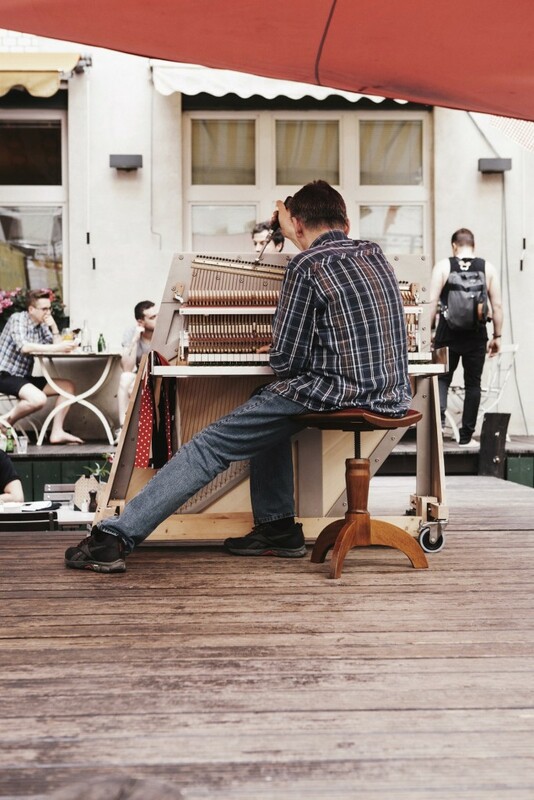 Klavins is a German piano builder who has rejected piano orthodoxy, creating instruments like a two-story piano accessible by staircase, or the beautiful, delicate Una Corda, with just one string per key. And with physical models and new expressive interfaces at hand, I expect piano lovers will also find ways of translating inspiration from the piano to electronic and digital creations. There’s no way to overstate this: digital music is what it is because of the piano.